I met Rebekah when she came in for her dress consultation appointment a few weeks before her session and couldn't help but notice her perfect little belly and beautiful smile. I could see how excited she was as she tried on gowns and floral crowns and we made plans for her session. 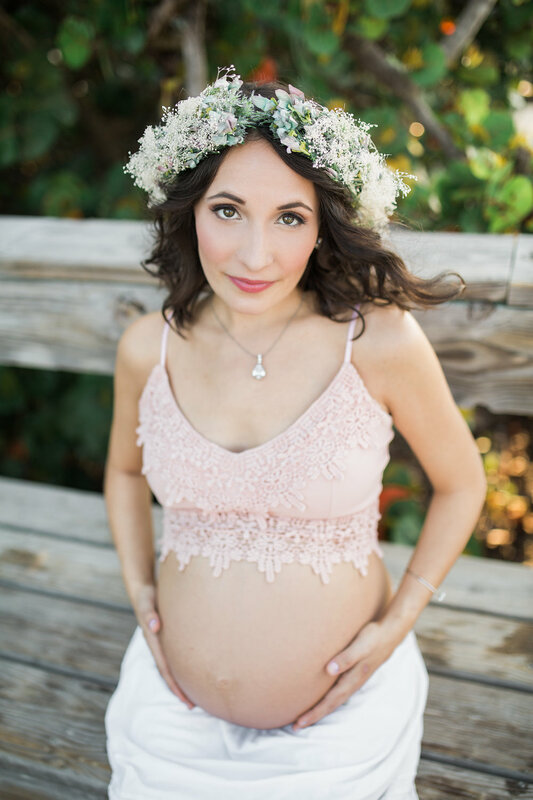 She wanted a boho, natural, beautiful shoot to celebrate reaching the last month of pregnancy and I could tell that we were going to be a great team. Rebekah says, "Over the span of a year, God taught me how to grow my faith. Despite many health obstacles and doctors' diagnosis, (and against my husband's better judgment) I bought a stroller. Walking out my faith changed my my life in so many ways...the biggest--conceiving our first baby! Now that I'm carrying this tiny miracle, I've become much more mindful of the words I speak, the impact my choices have on the world, my relationships and interactions with people, the food I eat, the way I spend money, etc. Years of self-consciousness and doubt have flown out the window. I'm more myself than ever before and it's beautifully freeing!" She says that she is most excited to bring up a child who inspires and loves others and brings glory to the kingdom of God. And of course all the snuggles and smelly boy adventures! On the day of her shoot we met at Jetty Park Beach to begin our work together and she looked stunning! Her make up was perfect (thanks to Crystal Love Billins, click here for more information), her hair was gorgeous, and her first outfit was right out of a bohemian dream- complete with handmade floral crown of baby's breath that she created herself (amazing)! The night couldn't have been better! The beach was empty and the sunset was the thing of golden hour legends. We capitalized on the breeze and the waves to add drama to the shots and laughed and smiled as we shot together, her husband Leon helping us along the way (he is a total keeper)! 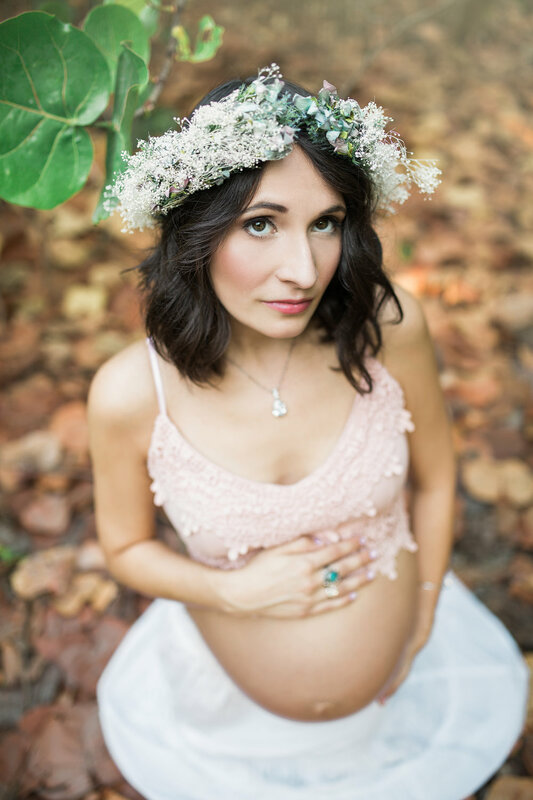 Enjoy these images from our maternity shoot together and be sure to leave some love for Rebekah and her husband Leon as they wait patiently for their little boy to arrive!